LONDON — Joe Bakaj, Ford of Europe's head of engineering, calls it nothing less than the holy grail. 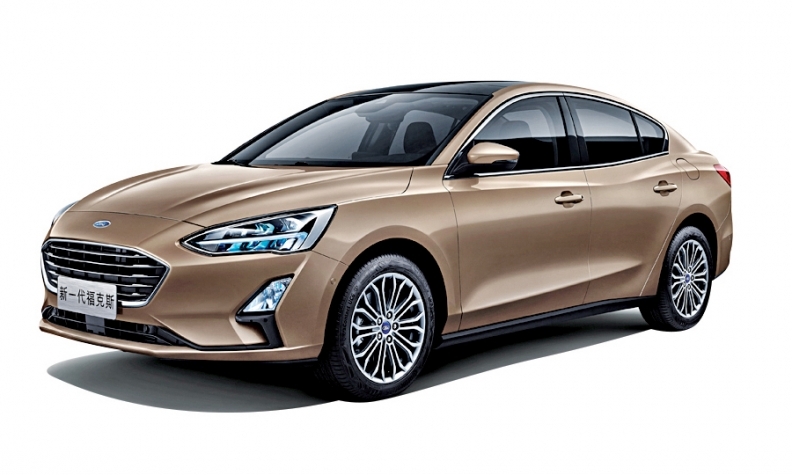 The new Focus compact, which rolled out here and in the central Chinese city of Chongqing last week, debuts Ford's global version of Volkswagen's much acclaimed MQB modular architecture, a central element of Ford's aim to achieve $4 billion in engineering efficiencies over the next five years. The unibody front-wheel-drive architecture (it has no snappy name, yet) is the first of Ford's five new global platforms — and arguably the most important after the body-on-frame truck architecture. Ford is developing them to enable savings and cut development time for new models by up to 20 percent, the company announced in March. The new architecture underpinning the Focus is flexible enough to encompass subcompacts such as the Fiesta as well as midsize models and crossovers such as the Edge and Escape, Bakaj told Automotive News at the global launch of the Focus here. "It's very scalable," said Bakaj. The U.S. version of the next- generation Focus will be sourced from China in the second half of 2019, Ford said. It's unclear what body styles will be sold in the U.S. Ford is ending U.S. production of the car this year at its Michigan Assembly Plant in Wayne, Michigan. European models will continue to be built at Ford's factory in Saarlouis, Germany. The car goes on sale in Europe and China this year. VW Group's fwd modular transverse toolkit (aka MQB) was launched in 2011 and now underpins around 40 percent of the cars the VW brand sells globally. It predicts that by 2020, that figure will rise to 80 percent. The architecture is also used by Audi, Skoda and Seat, creating savings across the group. Ford's embrace of a similar modular system makes sense for the company, said Tim Urquhart, principal analyst for IHS Markit. "It's the only way forward to drive proper value and economies of scale, especially for a mass-market player like Ford," he said. Like the MQB, the Ford unibody platform will fix certain hard points, such as the distance between the ball of the driver's foot and the front axle, Bakaj said. That would allow the fitting of common modules across a range of vehicles, such as seat structures, electric handbrakes and air-conditioning units. "You won't use every module from the bottom to the top, but you'd try and reuse as many modules as possible," Bakaj said. This strategy looks much further ahead than Ford managed with vehicles on the C1 platform underpinning vehicles such as the current Focus, Escape and Transit Connect van, which used different air-conditioning systems, for example. "When we ran those car lines, we didn't have a clearer long-term plan over time, and we had to make changes," Bakaj said. "If you can plan out a suite of vehicles over a period of time, you get a scale globally." Vehicles built using Ford's new architecture even have their own design chief. 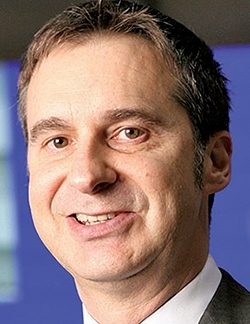 Joel Piaskowski was appointed Ford's head of cars and crossovers globally in August last year. Increasing the number of model ranges on a single architecture can bring problems. VW initially struggled to adapt the MQB across different vehicles and brands, pushing up costs. The greater number of common parts can reduce supplier costs because of scale savings, but the strategy can also disrupt production and drive up recall costs in the event of a part failure. The scale will be key to ensuring the Focus is cheap enough to compete in China, yet sophisticated enough to attract buyers in the U.S. "We'd use the same technology but aim to source locally in China. That's how we'd get cost and scale," Bakaj said. Ford said it has reduced the number of orderable configurations on the U.S. Focus from 360 to 26, as well as cut engineering costs for the global car. 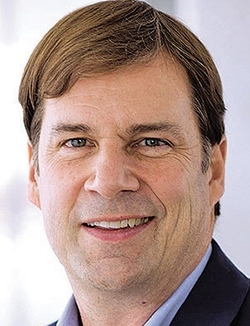 "For example, in many markets, we won't have a price leader where we would have in the past," Jim Farley, head of global markets, said at the event. That would cut the need to make cheap wheel trims, for example. "The reduction of complexity is around the vehicles and the content that doesn't add a lot of value," he said. At the same time, Ford has added "good complexity"; one example is increasing the num-ber of higher-end trim levels to push up the average purchase price. In Europe, Ford added a crossover-inspired Active version with greater ride height, different bumpers and plastic protective strips. Said Bakaj: "We've reduced the number of parts we've engineered; we've reduced the cost of engineering, but we've offered more derivatives to suit different personalities, and that's the holy grail."